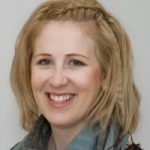 Jennifer Viberg joined CRB in October 2011 where she is involved in the IMI-funded BTCure project on Rheumatoid Arthritis and BBMRI.se. She started her PhD studies in April 2012. She is a licensed Prosthetist and Orthotist. Before joining CRB she was a teacher at the Orthopeadics Engeineering Programme (prosthetics and orthotics) at Jönköping University, School of Health Science.